Buckley Fence install at White Fence Farm, a restaurant and petting zoo in Chicagoland. Install features our 4-rail gloss-white Steel Board fence using our wire-mesh clips to attach a black-vinyl wire-mesh. 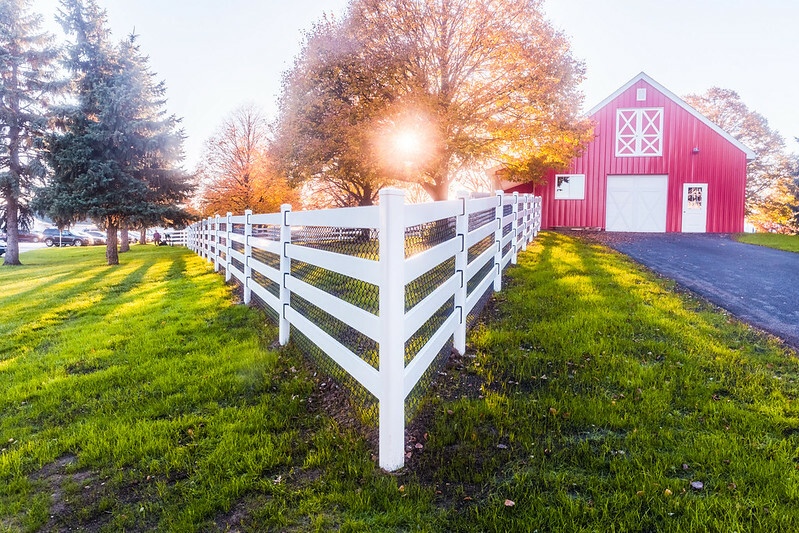 This entry was posted in Blog and tagged alpaca, barn, Buckley Fence, chicago, family, goat, golden hour, horse fence, Illinois, kids, llama, petting zoo, sunset, video, white fence, white fence farm. Bookmark the permalink.